Celebrating the amazing landscapes and waterways of New Zealand's South Island and the magnificent fishing available throughout the region, this reference offers a broad overview of everything an angler needs to know when going brown trout fishing. Lavishly illustrated with superb images from Hill's camera and complemented by Marshall's vivid descriptions of people, places, and fish, this delightful account of the spring-fed creeks, mighty rivers, and tranquil lakes is also full of valuable tips for anglers and fishers of all experience levels. Les Hill is a fishing writer and photographer. His photographs appear regularly in Fish & Game New Zealand. 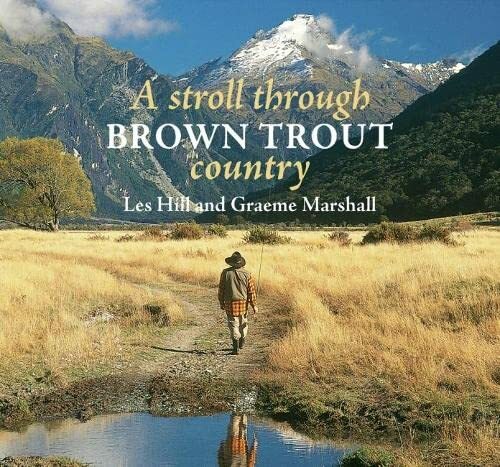 Graeme Marshall is an author of hunting and angling books, a contributor to New Zealand Rod & Rifle magazine, and a part-time teacher at a secondary school.